Birthplace : Portsmouth, Ohio, U.S.
Earl Thomas Conley is an American country music singer-songwriter. Between 1980 and 2003, he recorded ten studio albums, including seven for the RCA Records label. In the 1980s and into the 1990s, Conley also charted more than thirty singles on the Billboard Hot Country Songs charts, of which eighteen reached Number One. Early in his career, Earl Thomas Conley's music picked up the label "thinking man's country." An accurate description -- Conley looks into the heart and soul of his characters, finding the motivations for their actions and beliefs. In the process, the astute listener can find fragments of himself/herself in nearly any Conley creation. Born into poverty in Portsmouth, OH, Conley struggled with the limits of his social class. He aspired to be a painter or actor, but found that his aspirations for music lingered after the other interests died down. Influenced by everyone from Hank Williams to the Eagles, Conley delved into the details of writing, trying to learn the craft by following the rules and regulations of the Music Row songwriting community. Eventually, torn by the limits of the "law," he found his own niche by breaking many of those same rules. His public self-analysis -- in both his songs and his interviews -- has proven inspirational to some, bothersome to others, but Conley has evolved stylistically, even though the "thinking man" label continues to follow him. He's admittedly chased a more commercial sound, with a certain degree of success, but the run for the dollars also put him into a financial bind. He spent part of the late '80s and early '90s overworking himself to pay off his debts. Although he has been a hitmaker for more than a decade, his contributions to country have often gone almost unnoticed. The son a railroad man, Conley left his Portsmouth home at the age of 14, once his father lost his job. After living with his older sister in Ohio, he rejected a scholarship to art school, deciding to join the Army instead. While he was in the military, he fell in love with country music. Following his discharge, he worked a number of blue-collar jobs while he played Nashville clubs at night. Conley wasn't making any headway, so he relocated to Huntsville, AL, where he worked in a steel mill. While in Huntsville, he met Nelson Larkin, a producer who helped the fledgling singer sign to the independent label GRT in 1974. Over the next two years, he released four singles on the label -- which were all credited to "Earl Conley" -- and each one scraped the lower regions of the country charts. While his chart success was respectable for a developing artist, he was soon eclipsed by other artists who were having hits with his songs. 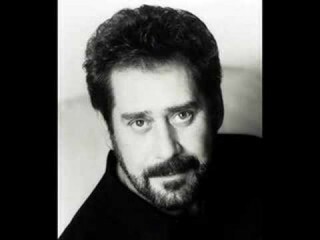 Nelson Larkin gave his brother Billy "Leave It Up to Me," which became the first Earl Thomas Conley song to reach the Top 20. It was followed shortly afterward by Mel Street's number 13 hit "Smokey Mountain Memories" and Conway Twitty's version of "This Time I've Hurt Her More (Than She Loves Me)," which reached number one in early 1976. By that time, he had moved to Nashville, where he was writing for Nelson Larkin's publishing house. In 1977, Conley signed with Warner Bros., and in early 1979 he had his first Top 40 hit, "Dreamin's All I Do." By the end of the year, he had begun performing and releasing records under his full name, Earl Thomas Conley. None of his Warner singles became big hits, and he left the label at the end of 1979. After spending six months reassessing his career and musical direction, he signed to Sunbird Records and began working with Nelson Larkin again. Conley's first single for Sunbird, "Silent Treatment," was an immediate Top Ten hit late in 1980, and it was quickly followed by the number one "Fire and Smoke" early in 1981. Following his breakthrough success, RCA signed Conley to a long-term deal. "Tell Me Why," his first single for the label, reached number ten in late 1981, followed shortly afterward by the number 16 "After the Love Slips Away." In the summer of 1982, "Heavenly Bodies" kicked off a string of 21 straight Top Ten hits that ran for seven years. During that time, he had a remarkable 17 number one hits, including a record-setting four number one singles from 1984's Don't Make It Easy for Me -- it was the first time any artist in any genre had four number one hits from the same album. Though he had some financial and vocal problems during the mid-'80s, the hits never stopped coming during the entire decade. By the end of the '80s, he had stopped working with Nelson Larkin, preferring to collaborate with Randy Scruggs, which brought his music back to his country and R&B roots. His sales took a dramatic dip during 1990 due to the rise of contemporary country, but he had two new Top Ten hits, "Shadow of a Doubt" and the Keith Whitley duet "Brotherly Love." The singles set the stage for the harder-edged country of his 1991 album, Yours Truly. Despite receiving some of the best reviews of Conley's career, the record was a commercial failure, and RCA dropped him shortly after its release. For much of the '90s, he was without a record label, yet he continued to give concerts and to tour, finally landing on Intersound for 1998's Perpetual Emotion.